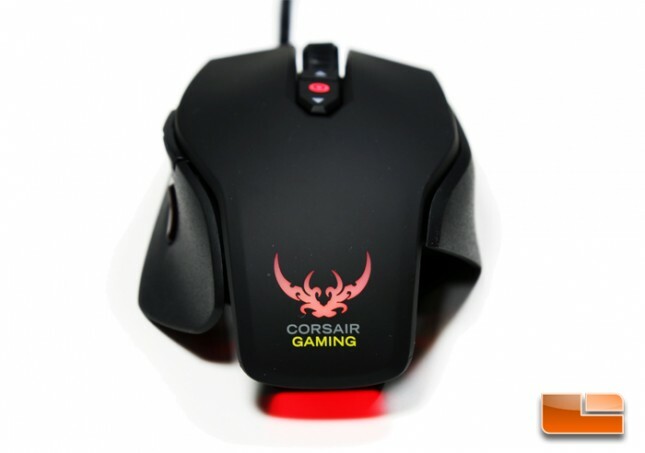 The Corsair Gaming M65 RGB gaming mouse is hardly the first computer mouse with multicolor lighting. It’s nowhere near the oddity of the K70 RGB keyboard, the first keyboard with individual customizable per-key backlighting. 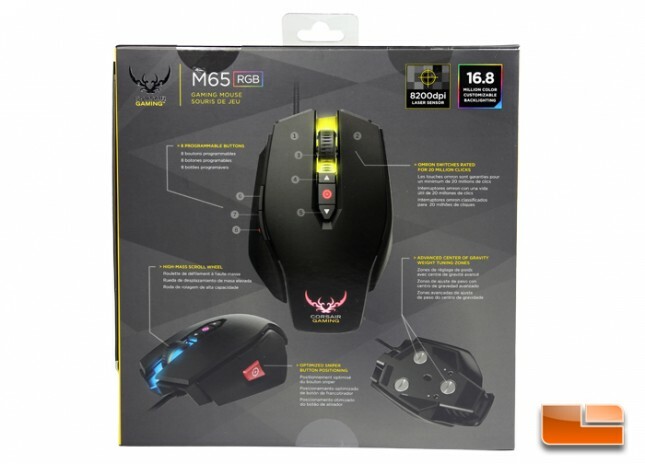 The M65 RGB at the very least complements the Corsair RGB keyboards – both are unified under the same control software allowing a sharing of macros and cross mode switching, they both have multicolor lights, and they both incorporate aluminum into their construction. The last time we looked at a gaming mouse from Corsair was two years ago when they were just getting started with peripherals. 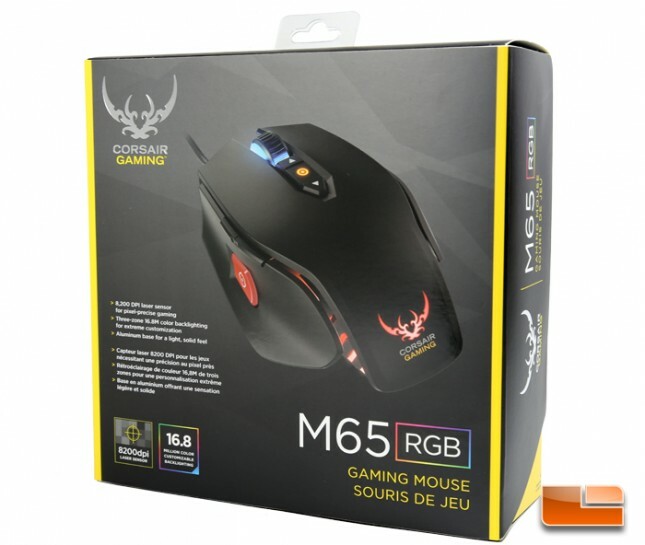 Now, it seems they got most of right the first time around as the M65 RGB isn’t drastically different from the M60 sans the tracking sensor, lighting, and entirely brand new Corsair Gaming logo. 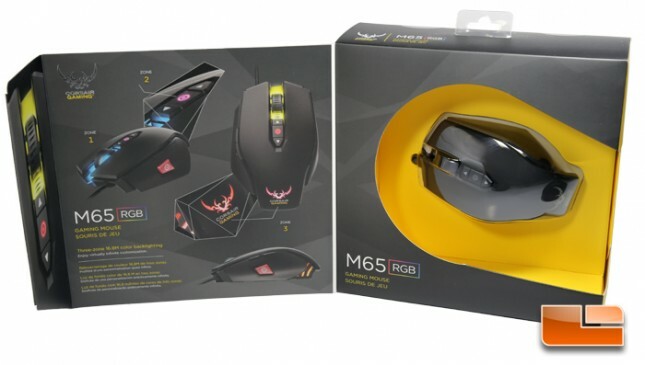 The M65 RGB also features an 8200 DPI laser sensor, onboard profile storage, 1000 Hz polling rate, adjustable weighting, and comes in two colors – black or white. 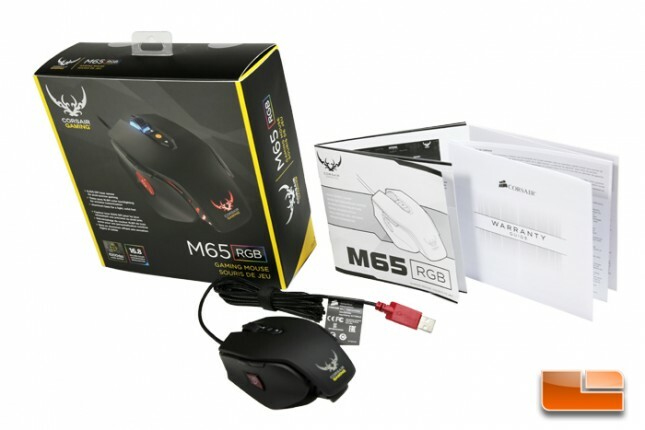 This mouse is available for $69.99 shipped at Amazon and comes with a 2-year warranty. The M65 RGB comes with a quick user guide and warranty information sheet. A much more detailed software user manual and the latest version of the customization software can be downloaded from Corsair’s website.